Book a ferry to Puerto del Rosario with AFerry. You can use Puerto del Rosario to take ferries around the Canary Islands and also to Spain and Tenerife. 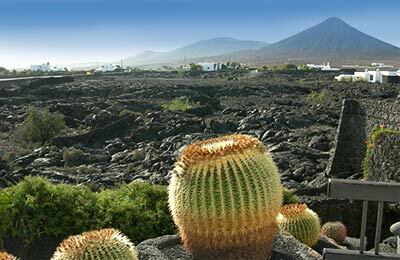 Domestic services in the Canary Islands are available from Puerto del Rosario to Las Palmas de Gran Canaria and Santa Cruz de la Palma while ferries away from the Canary Islands sail to Santa Cruz de Tenerife. Ferries to and from Puerto del Rosario are operated by Naviera Armas and Trasmediterranea. Because 2 ferry companies operate in and out of Puerto del Rosario, comparing can be very useful to help you find the best price at the best time for you. When you search for a ferry to Puerto del Rosario, we will always show a range of times just in case it's cheaper earlier or later than the time you select. We'll also show you results for similar ports like Morro Jable to help you find the best times and prices to suit your plans. Puerto del Rosario ferries with Naviera Armas and Trasmediterranea are known for their comfort and high levels of service, and you will feel like your holiday has begun the moment you step on board. Travelling to Puerto del Rosario will be easy and hassle free. Start by making your booking today, it's quick and easy. Puerto del Rosario is the capital of the island of Fuerteventura in the Canary Islands. The island, is, without doubt, one of the most popular in the Canaries for both young and older holiday-makers. The charming and historic city of Puerto del Rosario is situated in the eastern part of Fuerteventura. You'll find long sandy beaches like Playa Chica but also a plethora of hotels, restaurants and a lively nightlife. However, the city still retains its historic charm especially in the old town. Trasmediterranea ferries is a major Spanish ferry company in Southern Spain and their ferries some of the most modern and best equipped in Europe. Their ships are also well provided for in terms of facilities and on board you will find bars and restaurants and on their larger vessels you may also find swimming pools, cinemas, discos as well as spacious and luxurious cabins. 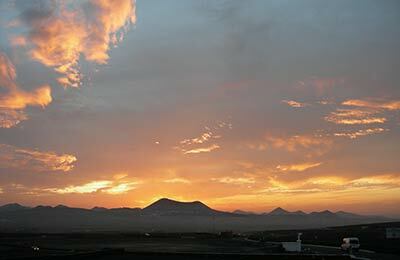 Puerto del Rosario is easily accessible from the rest of the island of Fuerteventura. There are frequent buses to the resorts of Caleta de Fuste and Corralejo and the port is accessible by road. Check-in was very difficult to find, even with a local taxi driver. There was nothing on our confirmation email about where to find the office, and it was quite a big port. The ship was over an hour late in leaving, and then we had to wait 6 hours in another port, which was not indicated anywhere when we booked. Facilities on the ship were limited which made this a very slow and boring journey!